From Free-quent Flyer Book – Register your Chase Freedom for Q1 2015 5x. Its good for Grocery Stores, Starbucks, and Movie Theaters up to $1,500. Sign up for the Marriott MegaBonus promotion for stays between February 1 and April 30 2015. Perhaps a bigger question: is Marriott starting to recognize that they need to reward stays as well as Nights? Via One Mile at a Time – Emirates will be accepting 2 class A380’s soon, losing First Class. In addition, Lucky notes that Emirates is going to add in a “Residence-like” product, potentially losing a dozen or so economy seats. Seems like two extremes to me. Tiffany has been doing some more regular writing for Lucky at One Mile at a Time. This week she’s written about where to search for award space. Its a great post for folks that haven’t redeemed a ton of miles for award travel. I tend to appreciate her point of view, as refreshing, and because she talks primarily about booking award travel – an area that is like solving the latest rubik’s cube. From Miles4More – American Express Membership Rewards transfer bonus to British Airways Avios is back! Wandering Aramean has visualized his Hotel Hustle data. I’m not sure I can agree with what the graphs say, but they are worth looking at. 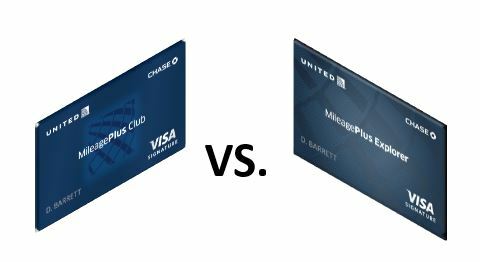 If anything, they prove that the best value for points are Hyatt and Starwood Preferred Guest (SPG). I just didn’t think SPG was all valuable for hotels. Its pretty big news that the US is “normalizing” relations with Cuba. Skift shows us that, while Cuba will be new to most Americans, it has been open to tourists for quite some time (just not directly from the US). While you may not be able to travel immediately to Cuba, India has finally started their Visa on Arrival program! Australian Business Traveller reviewed the latest American Express Centurion Lounge. Its in Sydney’s T1 International Terminal, and happens to be the first non-airline lounge in the airport. Doctor of Credit reports that Bluebirds are now eligible for AMEX Sync offers! Chasing the Points is always trying to automate stuff. Here’s how you can automate your telephone calls. He also figured out a way to automate changing your pin on prepaid cards. This was a pretty big week for manufactured spend, and not necessarily in a good way. We heard about Vanilla Reloads’ pending demise (we have a date – 1 April 2015), although FrequentMiler is more optimistic. In fact, Frequent Miler appears to be trying to balance between the Ghost of Christmas Past, and Ebenezer Scrooge with all the bad news of late. Doctor of Credit writes of the continuing saga of Old Blue Cash. Trying to look on the bright side, Doctor of Credit shares his experience buying Amazon gift cards – its even more interesting when you consider how many transactions you can get toward cards like the American Express Everyday card or bank debit cards. 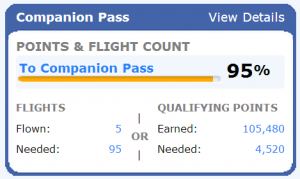 A few weeks, I wrote that I was pursuing the Southwest Companion Pass. I’ve been remiss in providing an update, partially because I was waiting with baited breath for points to post. I’m pleased to say that I’m 95% of the way there. This of course pales in comparison to BigHabitat who has gotten not 1, but 2! I know, he’s such a show off! But he needs help booking 5 people to Hawaii (Definitely weigh in if you haven’t already!). My efforts slowed a bit due to a weekend trip to Seoul and the Independence Day Holiday. I tried to jump on some of the promotions that BigHabitat highlighted including Kohls, however, for one reason or another, it just hasn’t hit yet. Alas, I haven’t met my goal yet. That said, with some Sears purchases, and some Kohls purchases that I am optimistic in finally hitting, I should have the pass well in hand. If there is one message to take away from this, it is: You can get “huge travel, and make a profit” (to play off another blogger). I don’t know what the final figures are yet, it’ll probably take another couple/few weeks, but I believe I can comfortably say that if you subtract the Elliptical that I was going to buy anyway, we will have made a profit AND the Companion Pass. A couple of days ago, Chasing The Points wrote about an experience of his, and included a reference to Maslow’s Hierarchy of Needs. 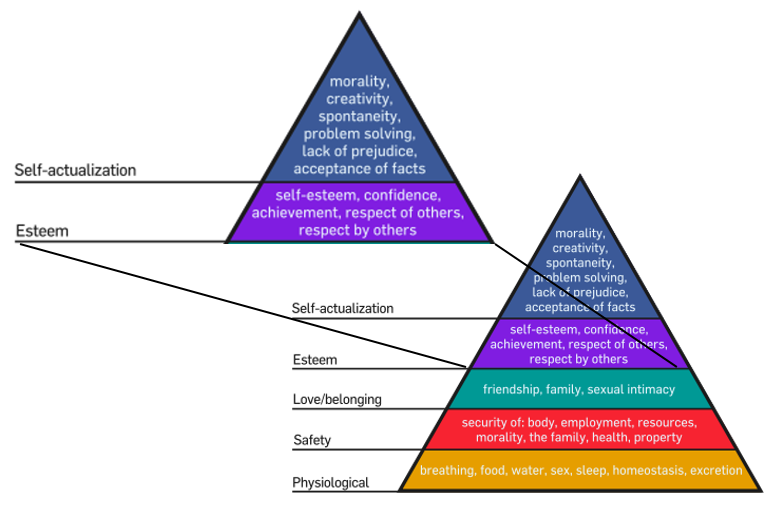 Abraham Maslow, in his 1943 paper, A Theory of Human Motivation, proposed a 5 “level” hierarchy of needs for human beings. These ranged from physiological—basic breathing,food, water, sleep—to self actualization—morality, creativity, spontaneity. So why does this matter for Manufactured Spend, Travel Hacking and Travel in general? Chasing the Points makes the proposes that if you’re doing MS or Travel Hacking, that you must be in the top 3 levels of the pyramid. I would submit that you need to be in the top 2 levels of the pyramid. Why do I not include “Love/Belonging?” Because, it’s not applicable to MS. If you look at the larger perspective of travel, it *might* be relevant because MS and travel hacking could lead to travel home to see family, or elsewhere to see friends; we’ll leave the mile high club out of this. But really when you break it down, those of us that are in the various “methods” and “tools” of manufactured spend, and travel hacking, are in them to travel (because if we weren’t, we’d just play the stock market or something). So how can we equate Esteem to travel the tools we employ? For starters, Airline and Hotel status: for some, it is a huge self-esteem boost. Just think of yourself walking past all of those gate lice when they call Executive Platinums, or 1K status guests, of course the latter kind’ve lose that as they slink back to economy with the rest of the masses. More about esteem, let’s pull the thread of respect for others: When you get the opportunity to travel, whether it’s across the country or halfway across the world, you have the opportunity to immerse yourself in a different culture. You gain respect for that new culture, and you grow because of it. Morality: By your very experiences, you learn to see more than a single side of an argument or a situation. Pick for example, the Military; in the US we have fairly porous borders, but for a country like South Korea, the Demilitarized zone is one of the most fortified in the world. Japan’s constitution for example, forbids an offensive military, rather keeping to country to a standing “Self Defense Force.” Finally, in some Muslim countries, you may be awoken by morning prayer. Creativity: When you MS, you are forced to be creative. The game is ever changing. When you try to book award travel, you must be creative; you must know what airlines fly what routes, and expertly help airline customer service representatives (CSR)’s identify specific flights, to stitch together that itinerary you want. Spontaneity: Having miles and points allows us to call up an airline, award space available, and fly anywhere in the world (if your miles account is large enough). Having the flexibility to go where you want, is absolutely huge, and a level of freedom that, I’m not sure many get to experience. Problem Solving: In MS, how many times do you have to enlist the Scientific Theory to figure out whether you need to hit the yellow button, or the red button, or to ask the cashier to input a different code? Or perhaps, the US Air CSR doesn’t, won’t book a particular flight because they think it leaves before your flight from Asia gets in; part of it is problem solving, part of it is social-engineering (which I’m not sure was acknowledged fully during Maslow’s time). Lack of Prejudice and Acceptance of Facts: Travel allows such amazing opportunities, that you do reach, at times, a lack of prejudice, you accept that the countries in the Middle East treat women differently; you accept that Indians treat Cows differently, you accept these things, because they are part of their culture. They may or may not be right in your view, but at least make the attempt not to be prejudice in a foreign land. It’s important to note that one does not reach Self Actualization and stay there indefinitely; they may fall back to Esteem; they may fall even further back. Rather these are levels that represent where an individual may be in their level of needs at a particular time. I will note, that this post ended up significantly different from when I started it, I was initially focused on using this as a discussion of those workaholics that we all know and love, and how disappearing for a week’s vacation to recharge the batteries, will not cause the world to end. But when I looked into it deeper, my thinking moved in a significantly different direction, as you see. 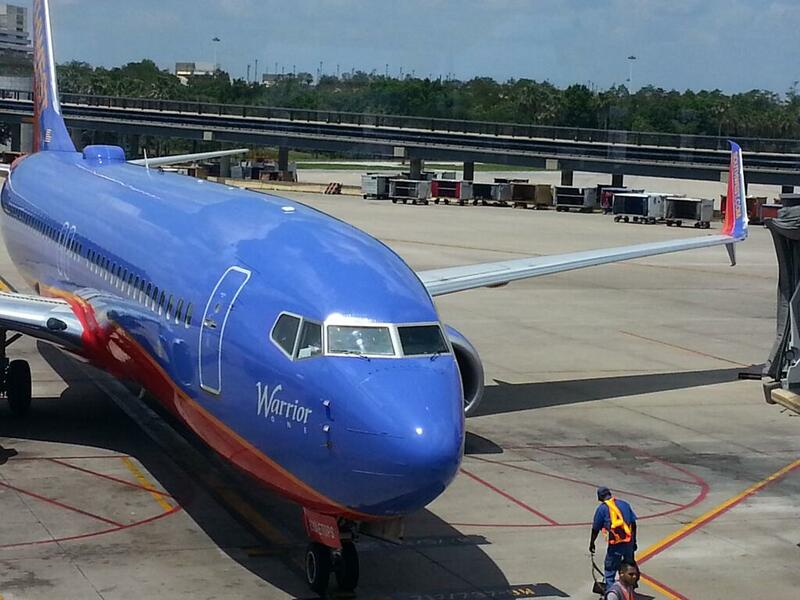 So, I’ll be candid – I’m not a huge fan of Southwest Airlines. I’m not a “hater” but I don’t go out of my way to fly them. 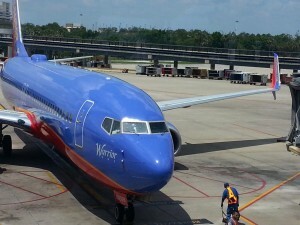 I do however find Southwest great for short trips, especially considering I’m based 20 minutes away from BWI – one of Southwest’s hubs. I can take reasonably priced non-stops to Jacksonville to visit my folks, Boston, and others, to visit friends and family. Even better, they treat everyone just about the same. But like I said, if I can, I’ll choose American, if the prices and routings are null. So, when I happened to see Frequent Miler’s QuickDeal, as well as Big Habitat’s Southwest Challenge I thought, why not? They do fly to the Caribbean from BWI anyway. I hastily put the plan into action over the weekend. We had been meaning to buy an elliptical, which we bought on Thursday when the 9x Southwest Portal first showed up (with the gift card, because, I can’t pass up a double dip). We ended up buying an additional $4.5k in gift cards and then some products with those gift cards. 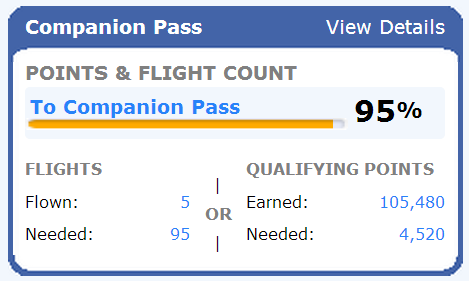 This won’t get us all the way, but my wife (who’s account we’re going for the pass for) already had 10,000 or so Rapid Rewards points for the year. So, the Elliptical, which we opted to pick up, was available yesterday (we picked it up today). Its ironic I suppose that we tried the “Shop Your Way” app’s “in-vehicle pick-up” which sounded great, but technical difficulties meant I had to walk in (big deal). I’m not sure. I’m waiting to be credited for the returns, I’m also waiting to see how many points I’ve generated to this point. I’ll have an update to this post when I have more, which I hope will be in the next few days; although Sears can be slow. How much detail of a manufactured spend deal should we offer? I offer this question; with the “we” as loosely defined as possible. In this case, I really mean, “we” as – the most public part of the community – also known as bloggers. Primarily because, as MileNerd states, there was A Big Death this week. Many people complain about the “circles and arrows” bloggers, because they “kill deals.” But to that same point, if we are to spur innovation to find “the next big thing,” then the information needs to be shared. This discussion reminds me of Marathon Man’s discussion at the CharlotteDO back in May. He has a great post on this as well. Sitting in the audience when I heard this woman ask a question as Marathon Man notes – asking a Walmart employee if she could use a gift card. How would she have known that this was a huge mistake? My first thought was: Research! You need to research before you dive into potentially significant financial transactions. 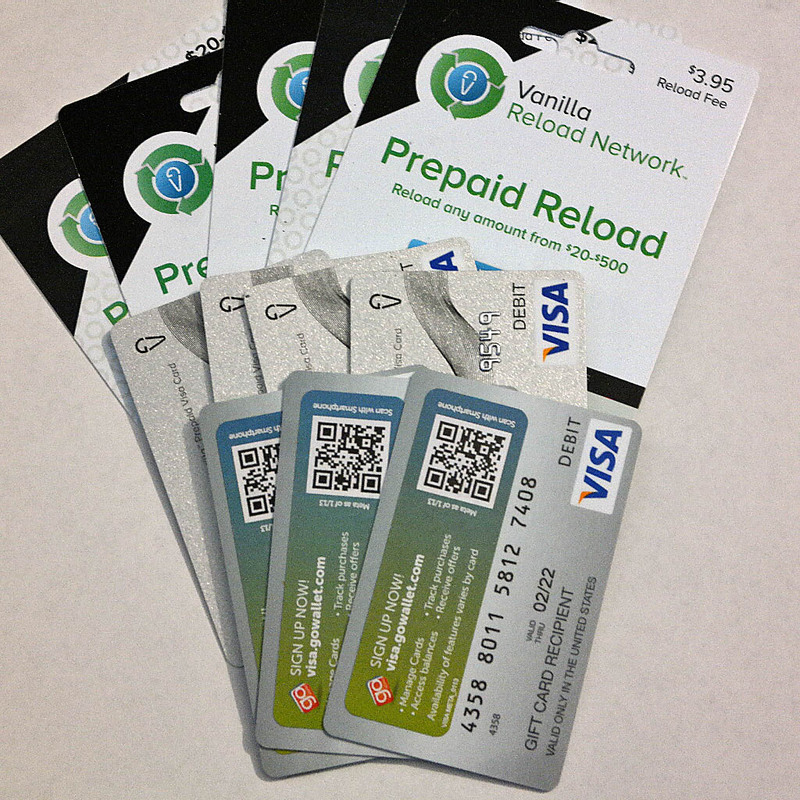 Countless folks have pointed out that Manufactured Spenders buy $500 gift cards as if they are $0.25 packs of Doublemint Gum – double the fun (or if you have a 5x – quintuple the fun!). For many, a $500 transaction is a huge deal. It should be – it is a lot of money! If you are new to Manufactured Spend (MS), you should research. Heck, you should research your research. Your credit score is the biggest asset you have in this economy. Would you put that at risk just for a hundred thousand miles? I hope not. Marathon Man, and others (a few others), make the great point that this hobby requires stewardship. I like to think of if this way: I’m a mariner, and I love spending time on the water. So when I go out, I don’t throw trash in the water. In fact, if I see trash, I try to pick it up! It’s just a small piece of doing our part. With manufactured spending, it’s not a question of keeping your trash to yourself (but you should anyway – it’s the polite thing to do after all). Rather, you need to be careful with this great hobby. Sharing “secrets” in confidence, perhaps even explaining them in greater detail, is encouraged – but in a face to face experience, with individuals that you know. Putting such things on the “internet” makes them public, for stores to find and ultimately shut down. TaggingMiles is a new blog. Joe and I have been around for a while though. We’re not going to share deals for clicks. It’s not our style. We would rather help you — the reader — to figure out what the next deal is. If we’ve done it right, hopefully you’ll share it with us. In closing: I’ll offer that we all have a lot to learn. We, that play the MS game, have an amazing talent — to see not just the big picture, but to also see the intricacies of the deal. So I would encourage you to test new things, especially in light of the death of Vanilla Reloads, and the most recent death of the Vanilla Network at Walmart. I don’t know what the next big deal is. Even if I did, I can say for sure, that I wouldn’t share it on TaggingMiles, however, if you reach out to me so that we can develop a rapport, via twitter, e-mail, or the Saverocity Forums, I’d be happy to share it with you, when I do find it.